I like to think of myself as a food explorer, think Indiana Jones of the edible world but with no fedora and a lot more carrots. When I’m not busy picking, preserving and purchasing kilner I can be found searching Google for my next edible project. I am a firm believer that when it comes to good food the process is as important as the final product, a principal that lies at the heart of the slow food movement, and I unashamedly want the world to care as much as I do about the journey behind their food. That is why I have decided to start documenting my adventures through food, to encourage and inspire you to bring a little bit of slow food culture into your own kitchen. 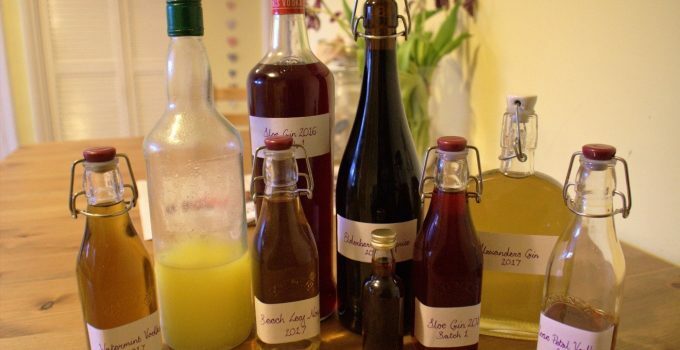 In my opinion there is no better way is to bring slow food into your home than by celebrating the time honoured tradition of alcoholic infusion. 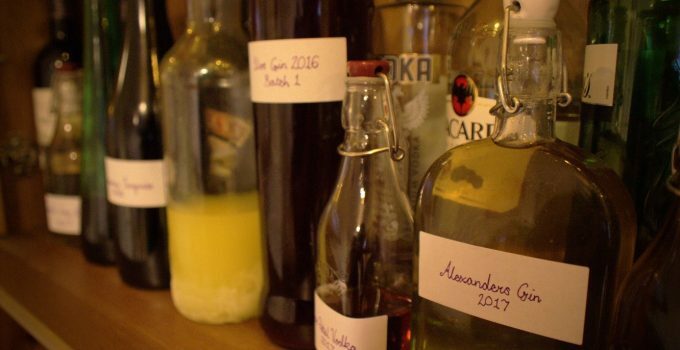 Over the last year I have fully embraced DIY booze, filling my wardrobe and my weekends with quietly infusing spirits.I’m not denying that alcohol production takes both time and money, so obviously it is important that you don’t waste your efforts and resources producing something sub-par. 1. Watermint Vodka (Probably) were a good idea. I picked the botanicals from my local park and wouldn’t want to commit to the variety. It is at the very least mint of some kind. The verdict: It might work for dental hygiene but it’s not doing it for me, 4/10. 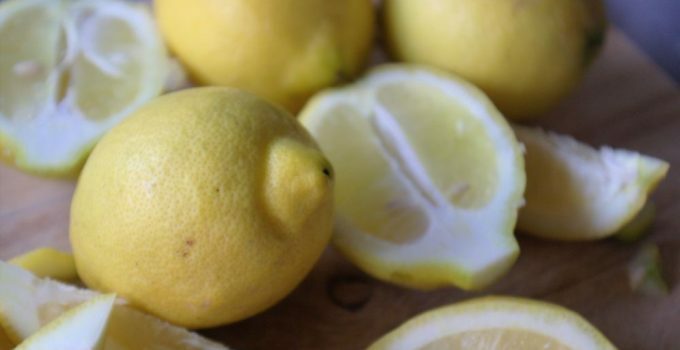 Note that you don’t actually need to chop lemons to make limoncello. nI made this with some 95% ABV rectified spirit that one of my colleagues liberated from Italy. On the recommendation of my colleague I diluted the base using a ratio of 1:1:1 alcohol:water:sugar. The taste: Wooahh, This is unbelievably strong!! I am seeing my colleague (or the booze hound, as he shall now be known) in a whole new light. I am also now seeing three of this bottle. Ok, now my head has stopped spinning I can confirm that this liqueur is fantastic. It is gorgeously tart but not bitter, sweet but not sickly. It is bringing to mind images of sun-soaked verandas and lines of white linen sheets drying in the wind. It also lacks that syrupy quality that plagues many shop-bought varieties. This is of course the DIY spirit that everyone talks about. I have found that the foraging community, usually so eager to assist, are rather reticent about revealing where they source their sloes. I spent a day scouring my neighbourhood to find a suitable stash. The question is, will it live up to the hype? The taste: It’s bright and fruity, with almond and menthol tones. Nice, but not revolutionary. This batch is only 6 months old so it is highly likely that the complexity and flavour will develop as it matures. This gin based liqueur is apparently an old English countryside classic. I made it because it has a great name. I am sceptical about the lack of colour that has been transferred from the leaves to the drink, and fear that my Noyau will basically taste like sweet, watery gin. The taste: This tastes of sweet watery gin. It has all the impact of a beige rug on a cream carpet. The verdict: Waste of sugar, water and gin, 2/10. It’s not Alexander’s its mine. In case you didn’t know Alexanders or Smyrnium olusatrum is a cultivated flowering plant, belonging to the family Apiaceae. It was known to Theophrastus and Pliny the Elder (or so Wikipedia tells me). It grows in the park near my house and tastes kind of funky, but you never know it might be the basis for a new Gin sensation. The verdict: Alexander can keep it. 1/10. A mix up with a batch of Gin and Vodka lead to the accidental creation of this love child. The big question is Godka or Vin? Raw elderberries have a very unique taste which I have never acquired. I have been reassured that the flavour vastly improves when marinated in spirits. The taste: Hmmm…Whist this liqueur has developed a rich winey taste with notes of blackberry, it unfortunately retains something of a damp and cloying aftertaste common to the raw fruits. Also I can’t escape the fact that it would be significantly better if it was either Gin or Vodka. The verdict: Meh, I’m ambivalent. 6/10, it works in a fizz. My housemate lovingly tends a beautiful arch of roses in our back garden, which I periodically vandalise for culinary purposes. This is my latest creation (greatest to come). The taste: As you can probably imagine this tastes floral and light, with notes of nectar. I feel a bit like I’m sipping perfume. It is the flavour of love and spring. If I have one complaint it would be that the taste is a little too subtle. I made this last autumn from the abundant local crop. It’s supposed to mature for a year but I’ve already polished off the entire batch. This may hint at my opinion of the taste. The taste: Heavenly! Simultaneously fresh and sweet, with fruity, floral and citric overtones. As far as I’m aware you can’t buy anything like it. This spirit has slightly more heft than its blossom-based relative and can therefore stand up for itself in a cocktail as well as working neat. I can verify that it makes a banging G&T. The verdict: 9/10. I’m so sad it’s all gone.